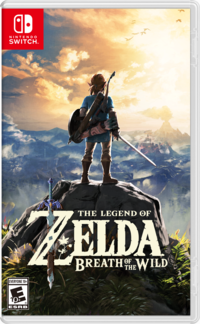 Through the financial details available from the official Nintendo website as part of their Fiscal Year 2018 earnings, we can now see that The Legend of Zelda: Breath of the Wild has taken the crown as the best-selling Legend of Zelda entry of all time once you accumulate the Switch and Wii U entries. By taking a look at the data, we can see that the Nintendo Switch version sold 8.48 million units, while the Wii U release sold 1.5 million copies, leading to a combined total of nearly 10 million units worldwide. Of course, this is only if you count original releases and not remasters. If that was the case, The Legend of Zelda: Twilight Princess and Twilight Princess HD would have Breath of the Wild beat - but only barely at 10.08 million. The Legend of Zelda: Ocarina of Time, on the other hand, is just over 11 million units total when you count the remasters. However, the difference is, Breath of the Wild is still selling, and quite well at that. Meanwhile, Nintendo's financials also reveal that the Nintendo Switch itself has sold a staggering 17.79 million units since it launched last March. Quite the massive turnaround when the Wii U only sold just under 14 million in its entire lifetime! Either way, this is a momentous occasion in honor of what our site considers to be one of the best video games of all time.